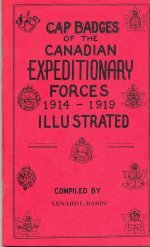 Leonard Babin's badge reference is one of the most commonly used collector's guides to the badges of the Canadian Expeditionary Force. The greatest drawback of the work is the hand-drawn images of each badge, which offer only a general guide to the most common badge variant for each unit. For The RCR, Babin chose to present only one of the badges in use by the Regiment during the First World War. The drawing provided is of the officially authorized Tudor-crown badge of the period with the George V cypher. 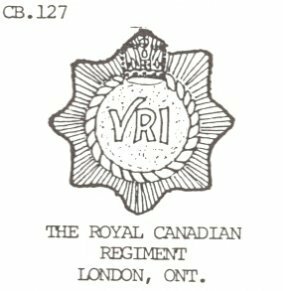 This work does not include mention that the Regiment also continued to wear the Guelphic-crown VRI cap badge throughout the First World War when they were available. Tripp's work is a reference to Canadian Army cap badges of the Second World War. 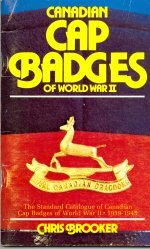 The book provides badge images (photographs) and very short histories of each unit's wartime activities. 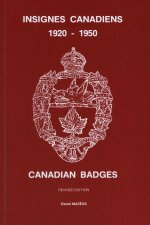 Unfortunately, the image used by Tripp is not properly correct to the time period and does not represent the authorized badge in use durng the Second World War. 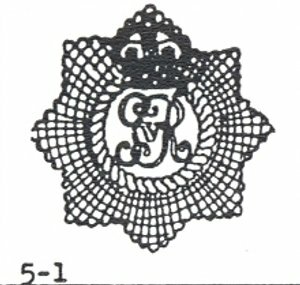 The provided image shows the 1894-1926 Guelphic crown badge. For a Second World War reference, the badge should be an Imperial Crown badge with the narrow based crown. 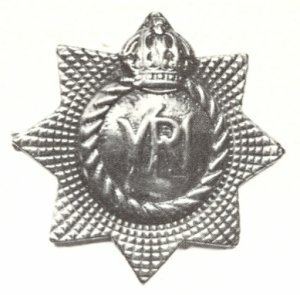 To be completely accurate, two badges should be represented, as officers of the Regiment would have worn the St Edward's crown badge throughout the War. 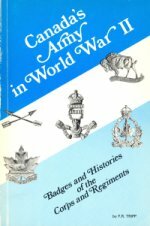 Chris Brooker has published at least two editions of his Standard Catalogue of Canadian Cap badges of World War II - 1939-1945 since 1982. Badges are illustrated in the book with line drawings, the quality of which range from very clear renditions to rather crude hand-drawn facsimilies. 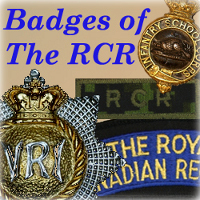 The badge drawing for The RCR, unfortunately, falls under the latter description. Examination of the drawing and comparison to major badge variants lead to the assumption that it as based on a later Imperial Crown pattern of the regimental badge. As with Tripp's reference, for the Second World War, the badge should be an Imperial Crown badge with the narrow based crown. Daniel Mazeas has also published at least two editions of his badge reference. Commonly used as a general reference and for its cataloguing system which assigned unique alpha-numeric desigations to unit badges, Mazeas attampts to show the many different unit badges, but without delving too deeply into the many possible variations of each. Mazeas also makes the error of depicting only one badge of The RCR, rather than the three major variants that existed during his date range of 1920 to 1950. The hand-drawn version of the Guelphic crown badge is applicable for 1920-1927, but for the period after that, he should also present the early Imperial crown and the St Edward's crown patterns.